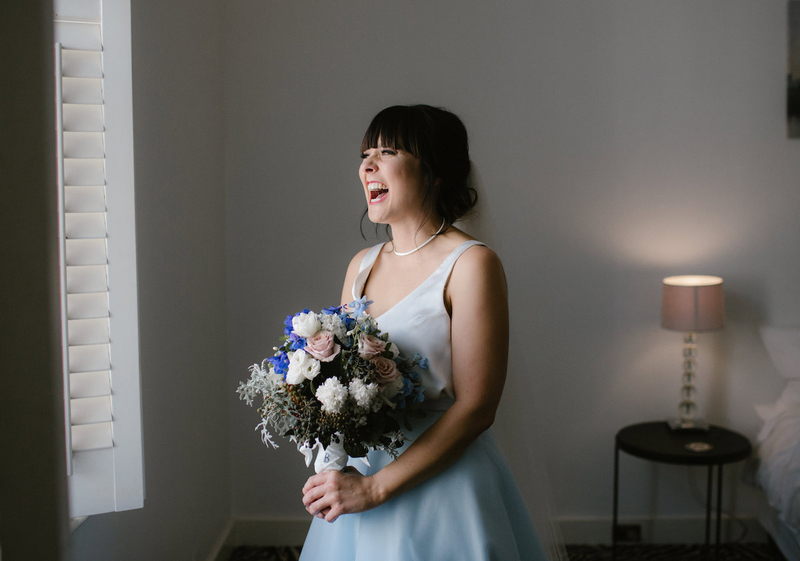 When Lorraine visited our studio she had a few ideas of what she might like and she was intent on having something different that reflected her personality. 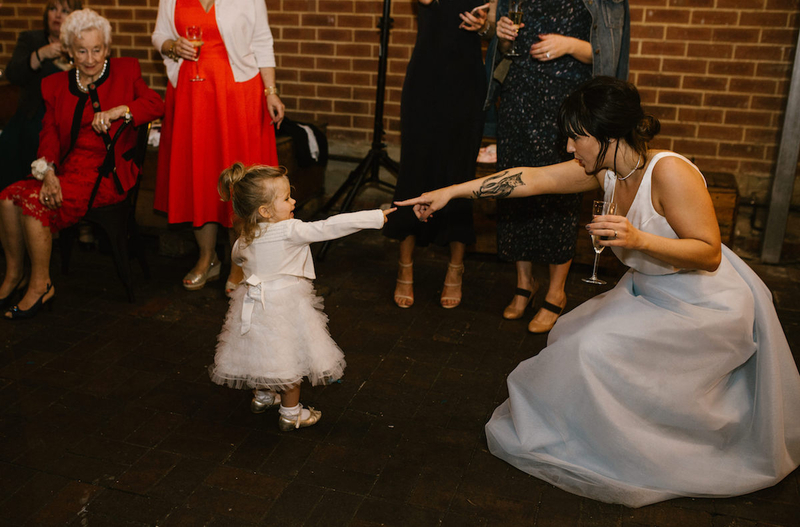 She also wanted the option to wear the dress again. 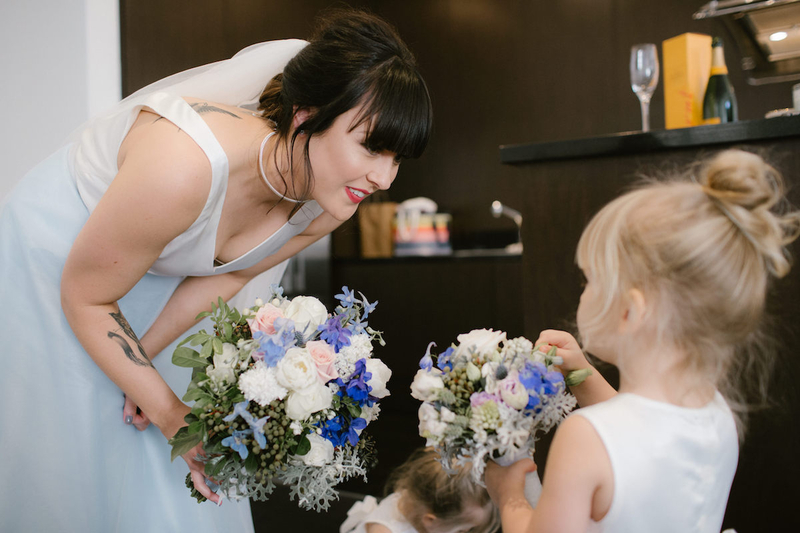 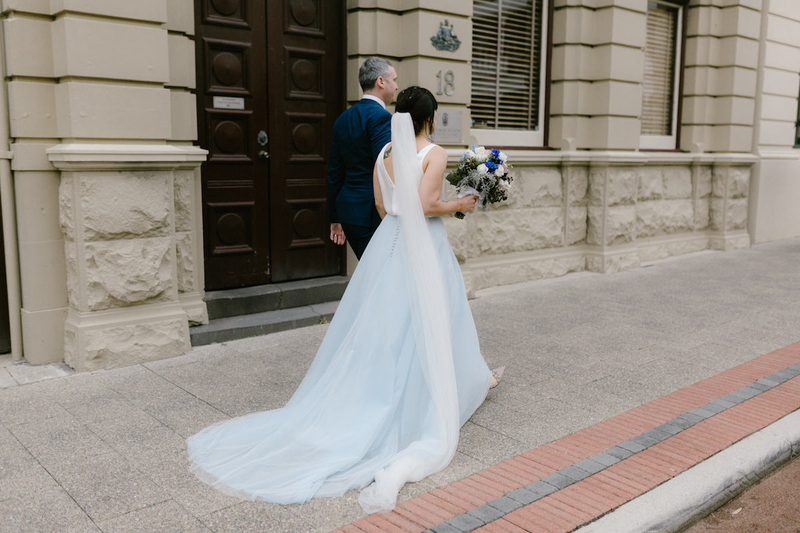 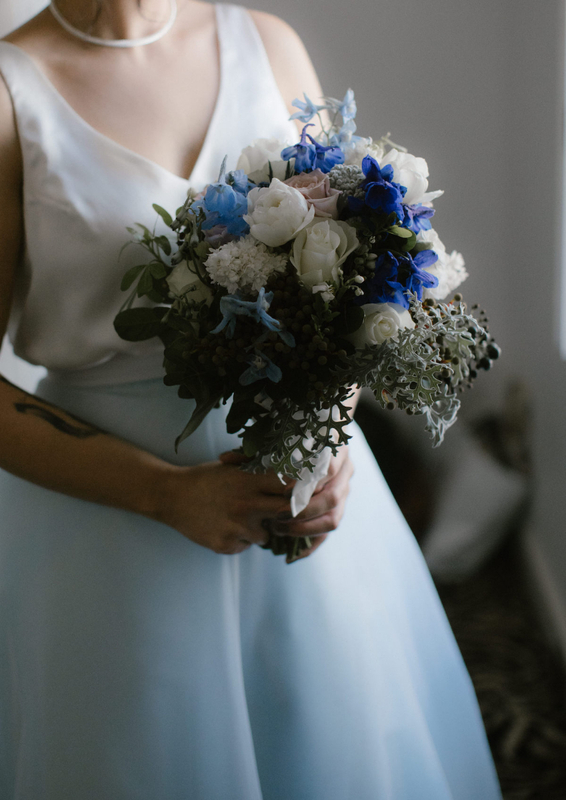 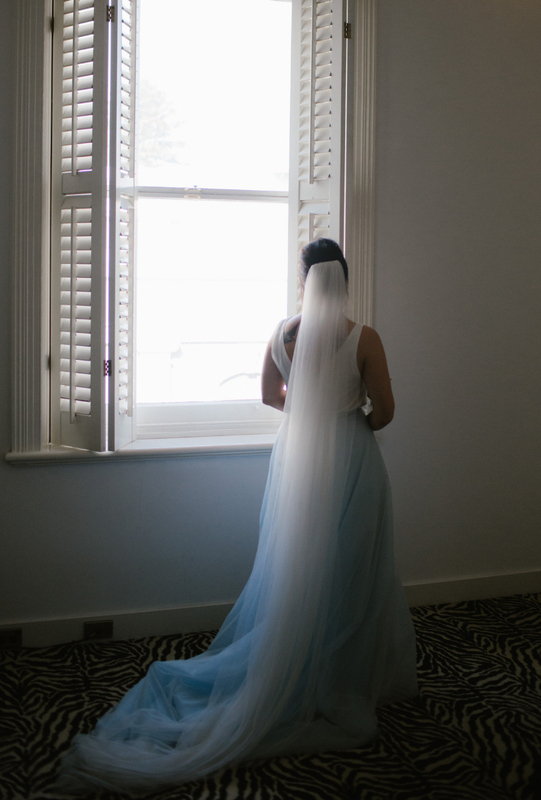 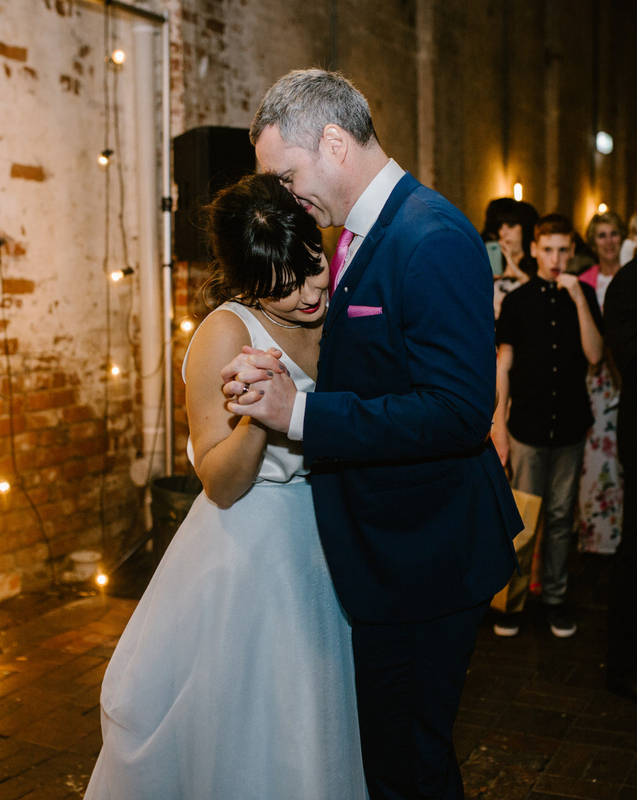 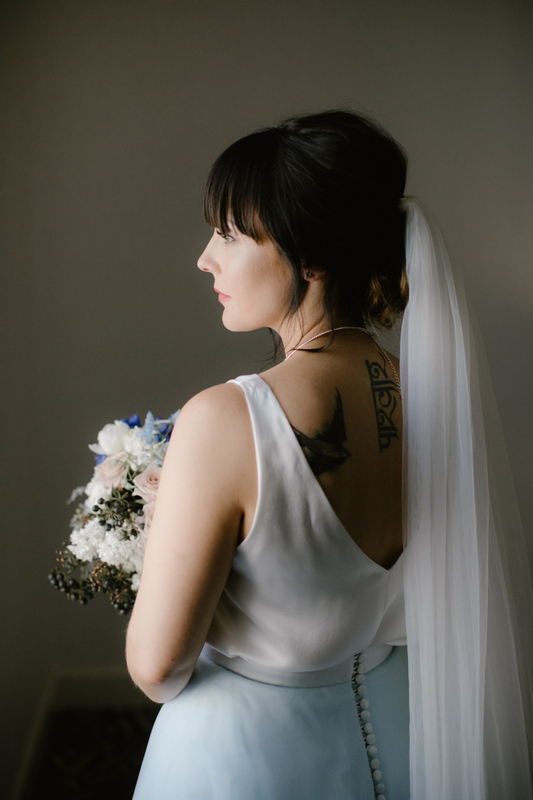 For us, it was quite simple really, we designed and created a blue wedding dress consisting of a silk tank and a blue tulle skirt with a dramatic train, making it easy to wear both items again! 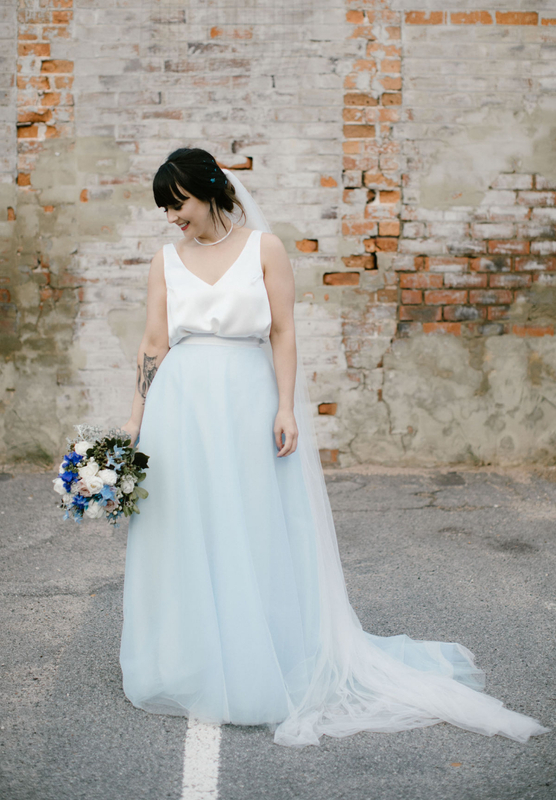 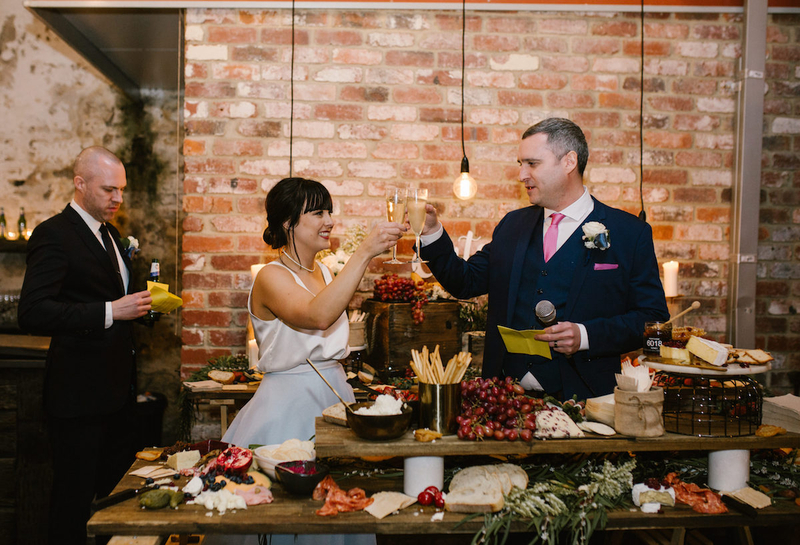 We’re loving this environmental movement where brides are looking for different ways to put together their outfit on their wedding day, who said a wedding dress had to be a dress or even white?! 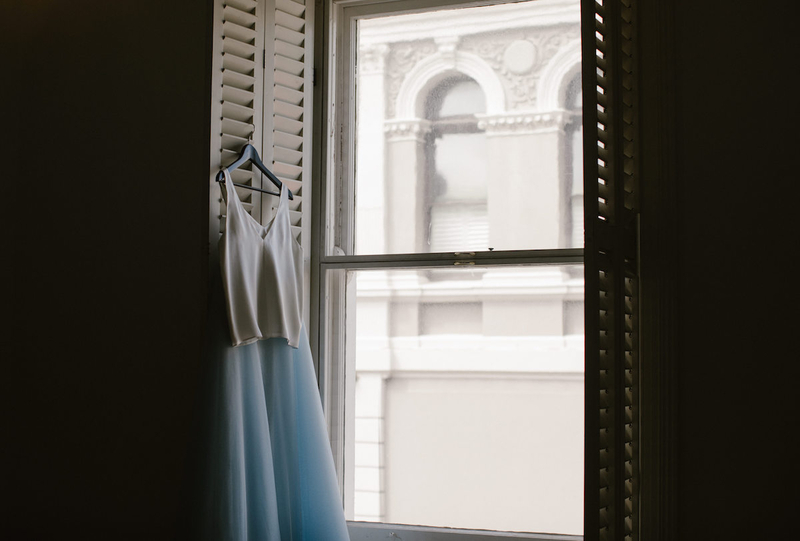 Our tip is – invest to re-wear, purchase quality items that will stand the test of time. 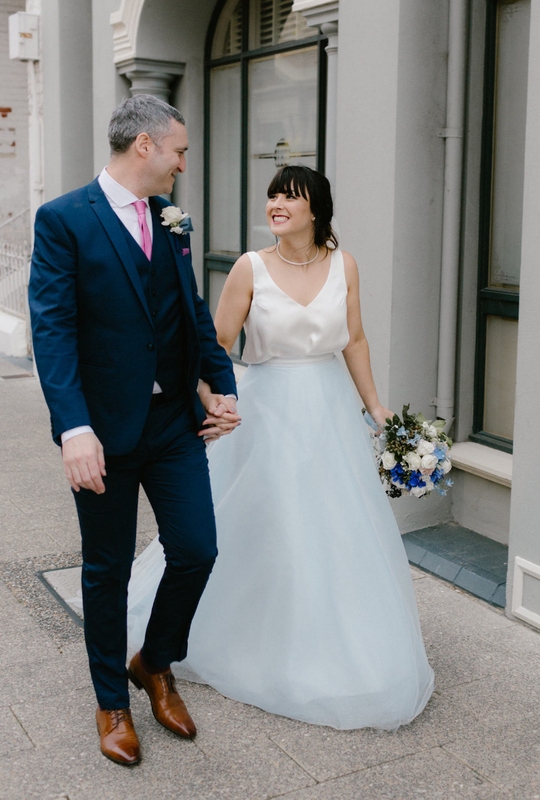 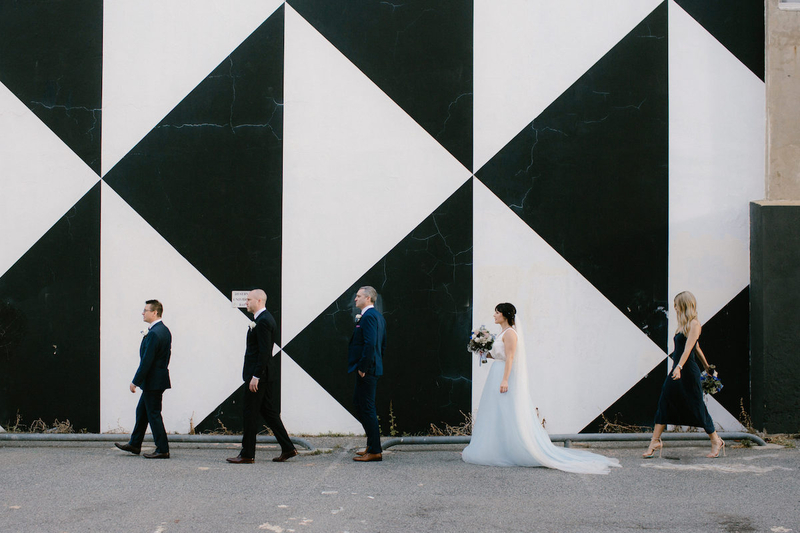 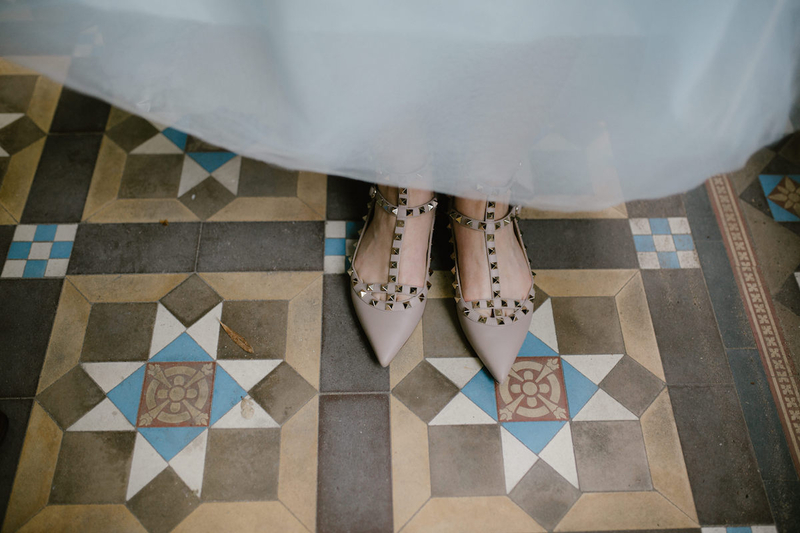 Lorraine styled her blue wedding dress with the most gorgeous Valentino rockstud flats and a veil she borrowed from her sister. 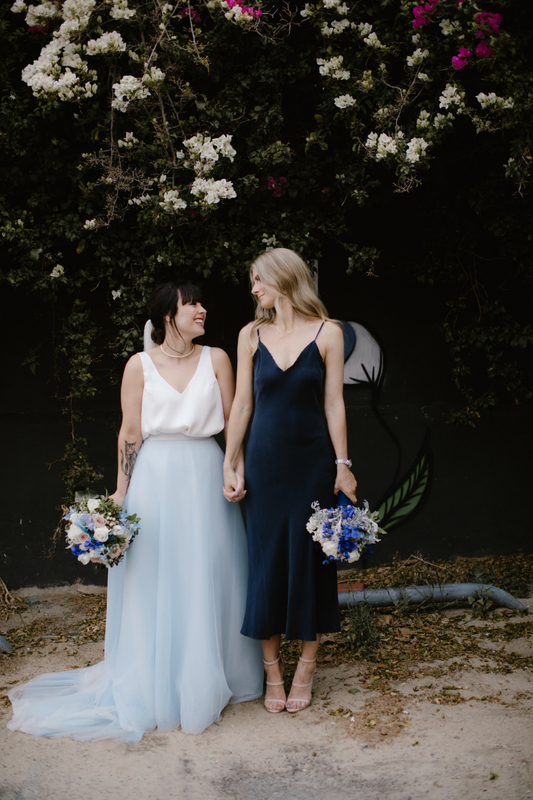 I had never thought about weddings or dresses until we finally set a date. 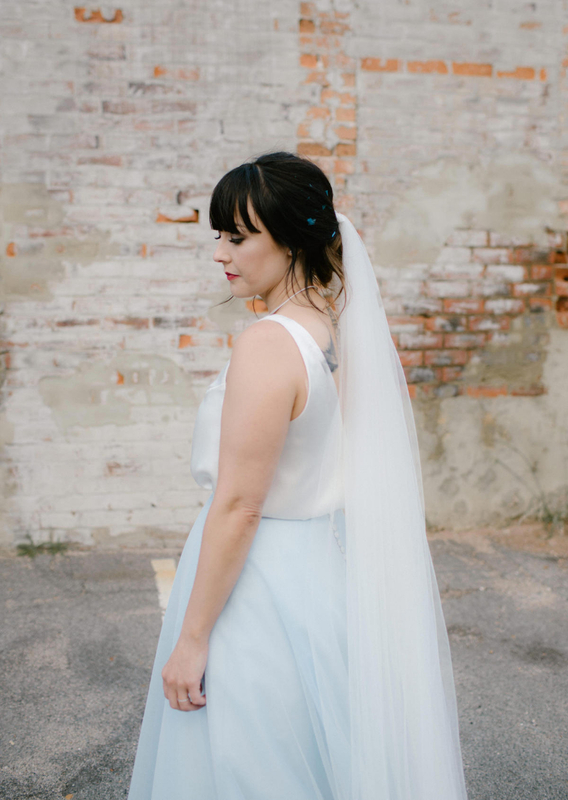 I started to scroll through social media trying to find a look or some inspiration. 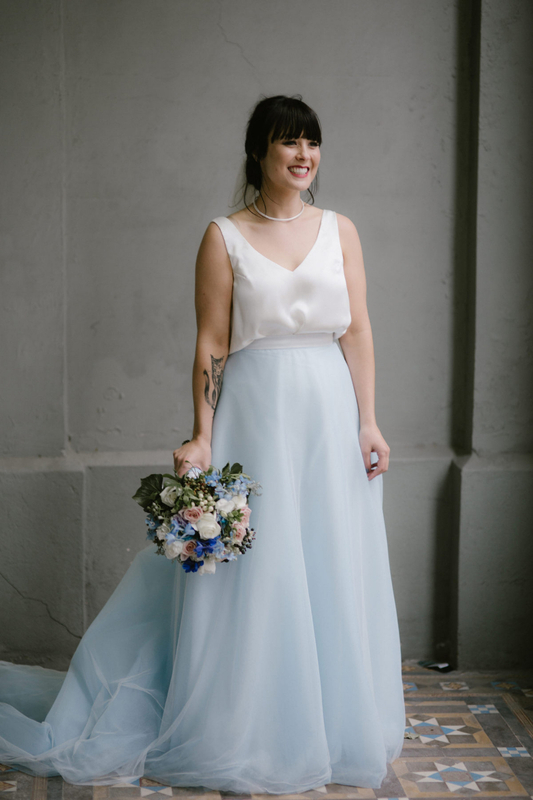 I really wanted something that captured my personality, I wanted something slightly different and a dress to call my own. 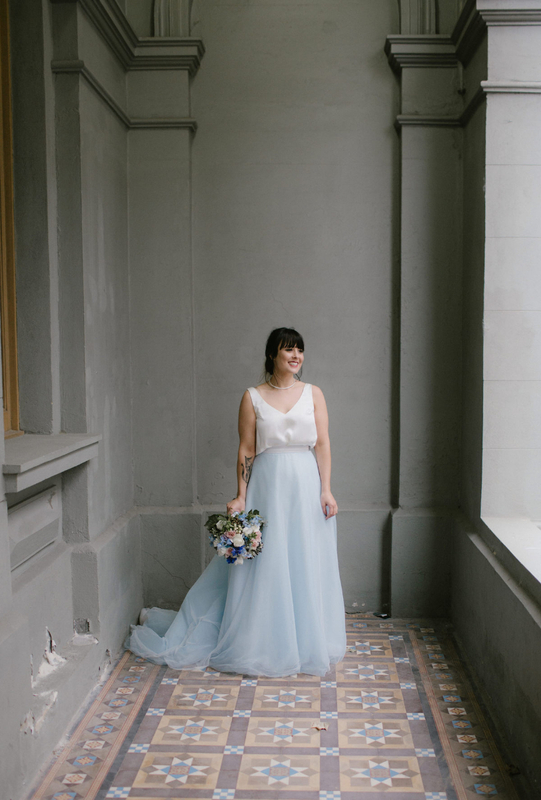 I was recommended by a good friend of mine to go and visit Elvi design. 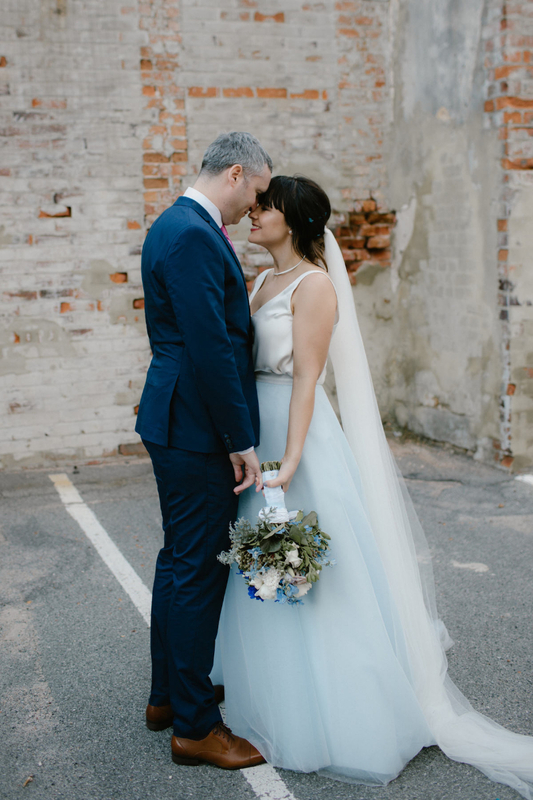 Having never heard about Elvi Design I stalked them on Instagram and fell in love, I made an appointment straight away. 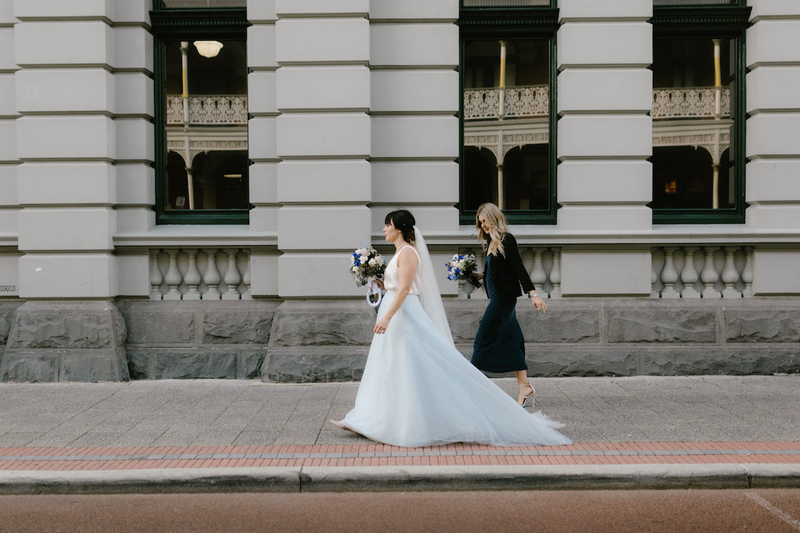 Sandra and Birgitta made me feel so welcome and comfortable, dress shopping can be daunting, however, not with these two, and they are amazing at what they do!! 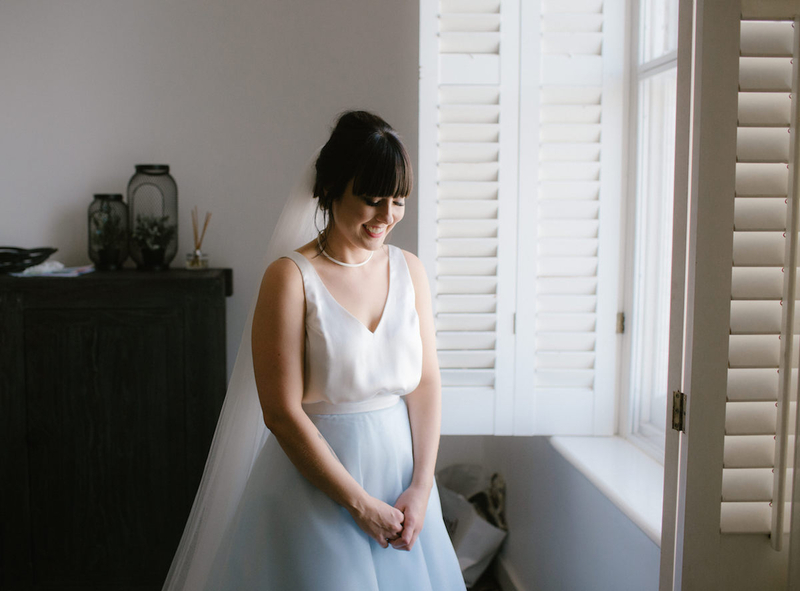 You can see the passion the ladies have for design and helping you create that perfect dress. 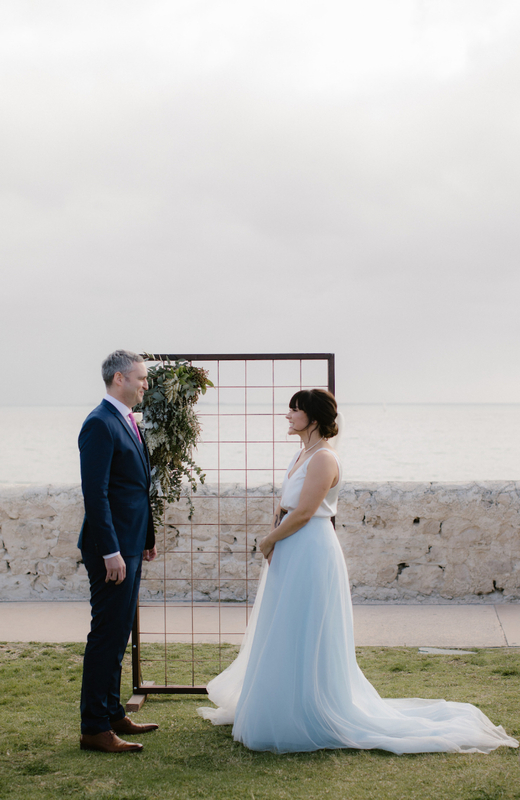 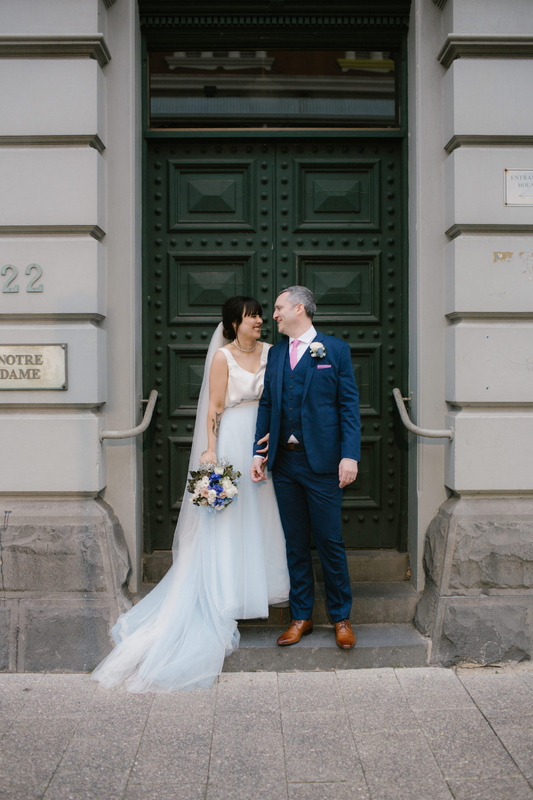 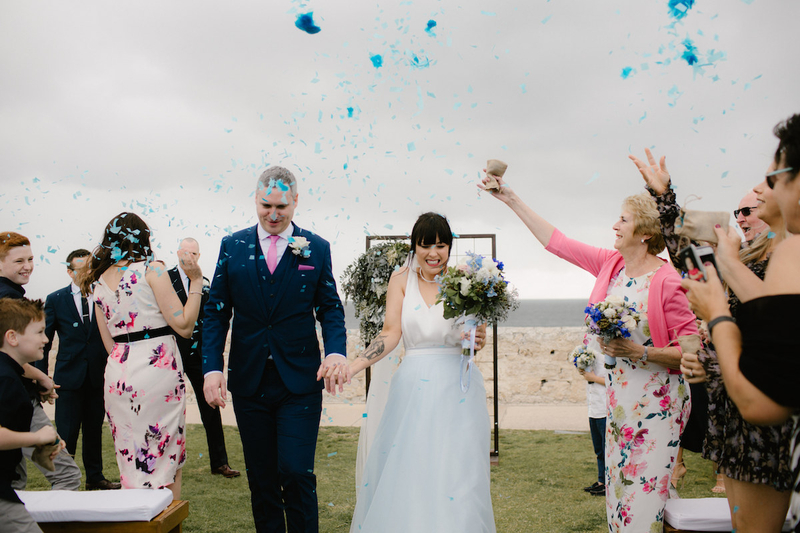 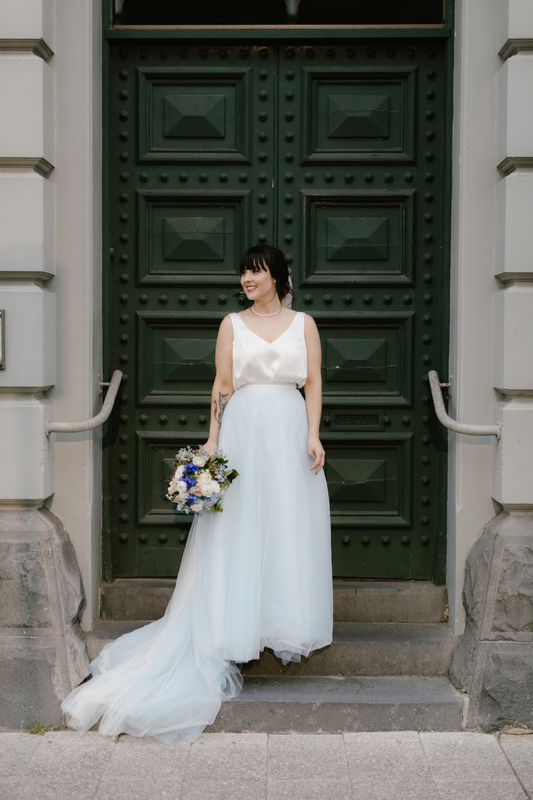 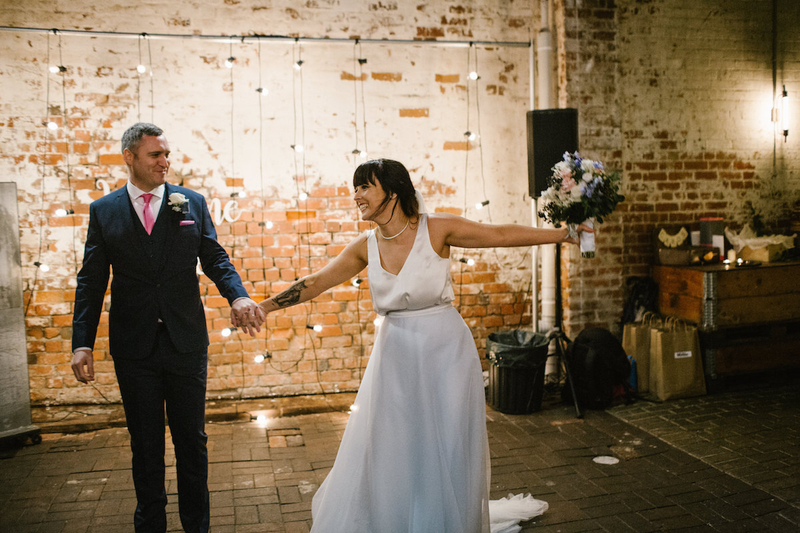 I can’t thank Sandra and Birgitta enough for creating my blue wedding dress I was over the moon with it and it was everything I’d ever wanted. 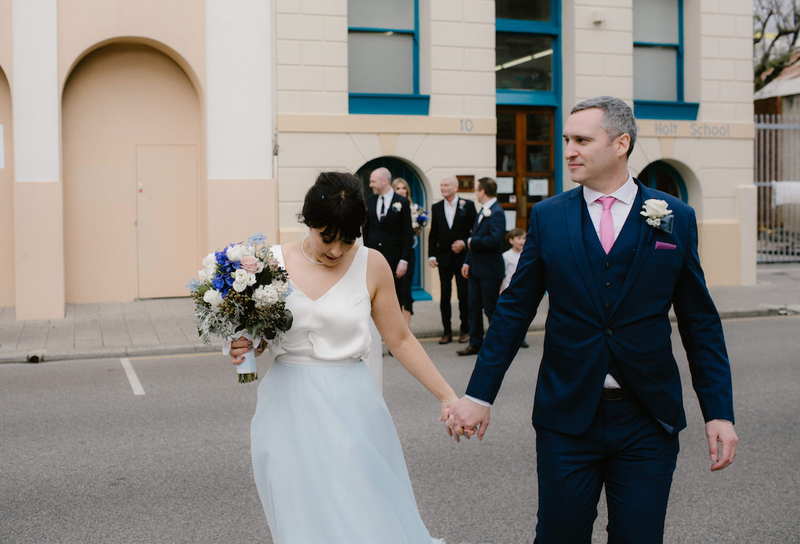 I thoroughly enjoyed the process, it was so lovely getting to know them both and sad to say goodbye at the end of my final fitting.